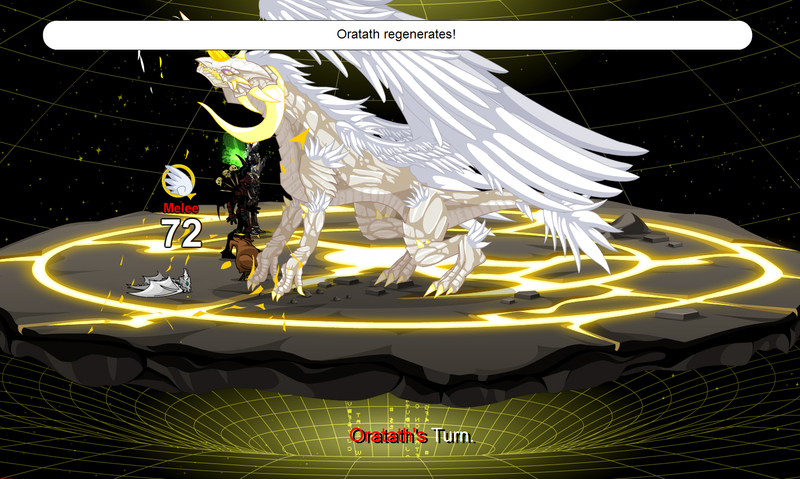 Location: Oratath Challenge, Dragon Challenge, Triple Trouble, Oratath Appears! 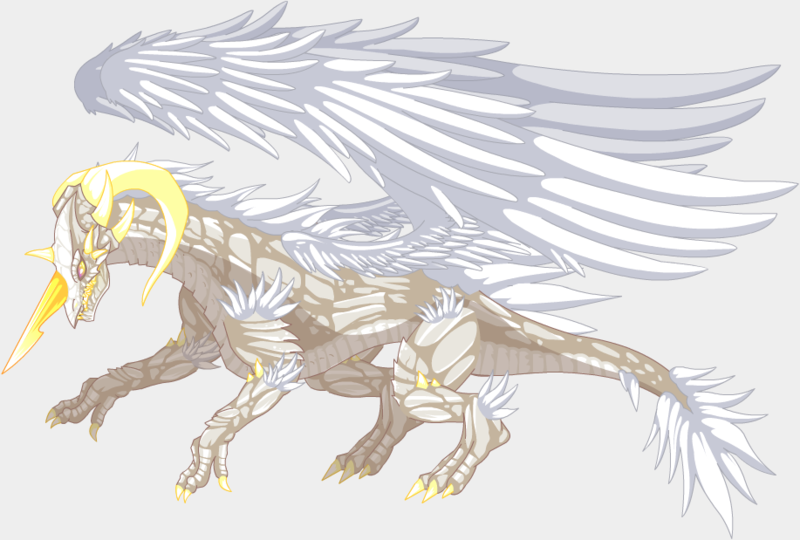 Attack Type 1 - Approaches his target and stabs one of its horns into the ground to create a spiral of light that hits it three times, enabling Holy Shield (+180 Defense and Reflecting Damage) for three turns. 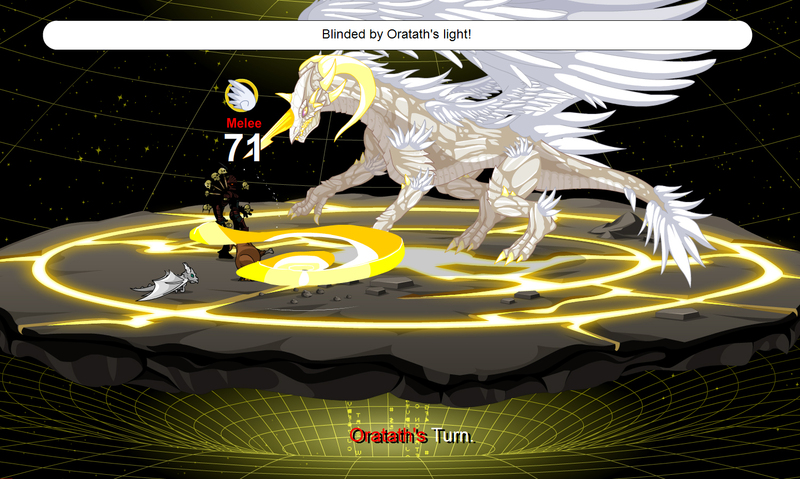 Attack Type 2 - Stabs one of its horns into the ground to create a spiral of light that hits his target four times, causing the target to go blind (-40 to Hit) for five turns. 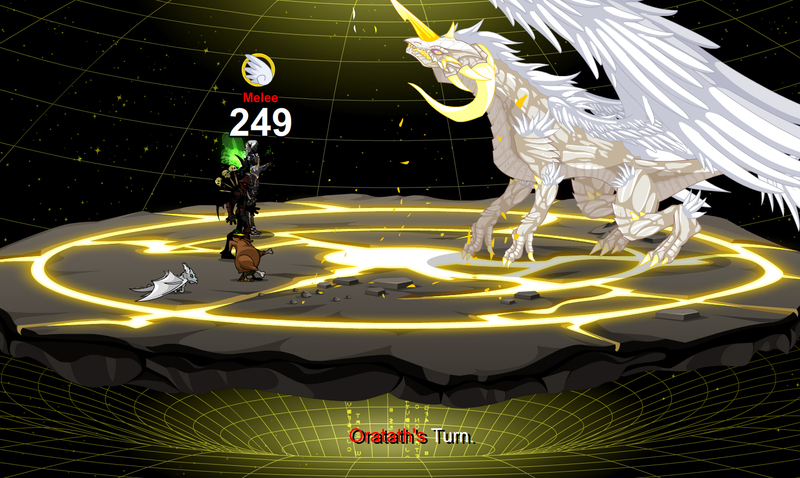 Attack Type 3 - Stabs one of its horns into the ground to create a spiral of light that hits his target four times. 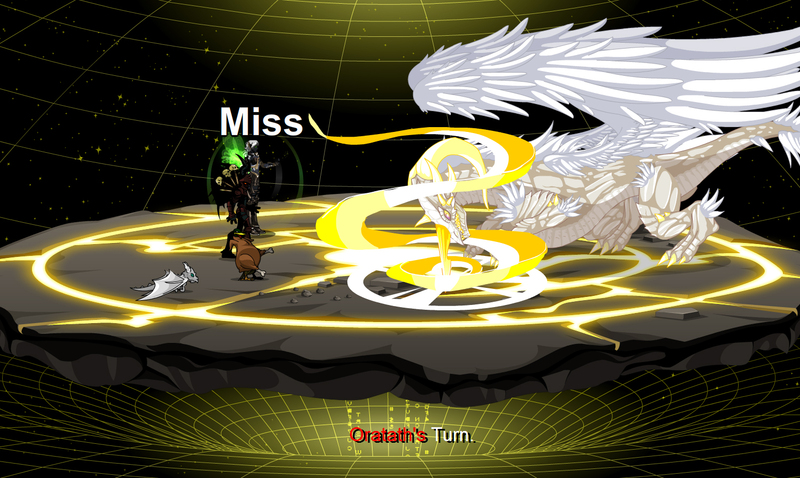 Attack Type 4 - Rams into his target once to deal severe good damage with a chance of a critical hit. 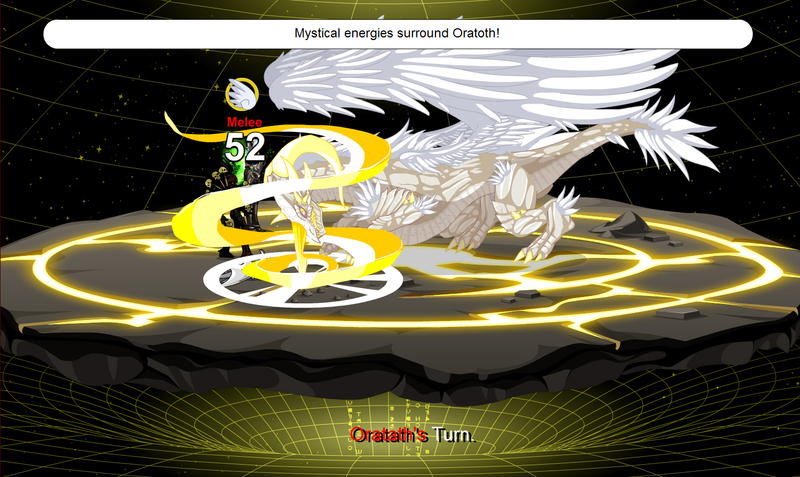 Attack Type 5 / 5.1 - Performs an uppercut that strikes his target once, dealing either moderate to severe good damage. 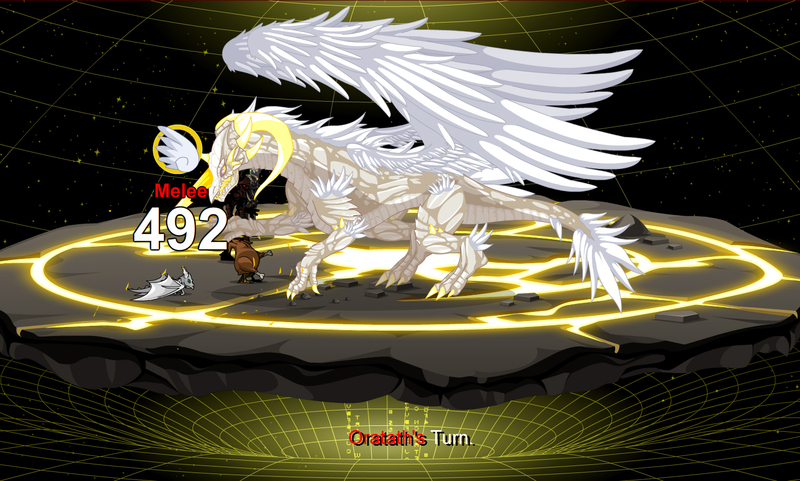 If Oratath's HP is lower than 50%, every twenty turns, a massive portion of his health is restored. Jay for appearance images and stat information. Verlyrus for Attack Type 5.1 information.